My first 'real' camera was a Nikon Nikkormat ftn 35mm SLR with a 50mm lens. I shot thousands of slides with it and some black and white film before getting a 28mm lens and discovering the compositional joys that wide angle can give. It wasn't until 2004 that I bought another camera, the Minolta DiMAGE Z3. 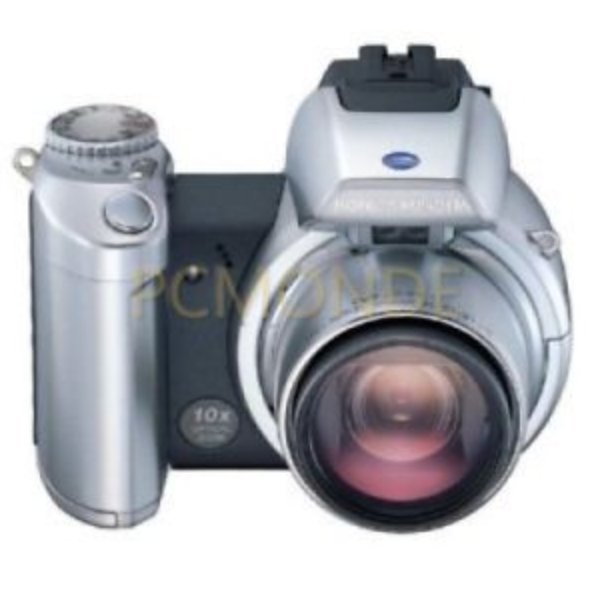 3.3 MP 1/2.7" CCD sensor, fixed lens 10x zoom 38-380mm FF equivalent, ISO who knows? My first digital camera. I thought a 'super zoom' would be a great convenience so this was recommended by the camera shop. It was a really enjoyable camera to use. (In that regard it makes me think about the Sony A6000). But the EVF was awful and plastic bits kept breaking off. Never the less, some images were OK.
6.3 MP, APS-C CCD sensor, ISO 100-1600, pentaprism view finder, 2.5" 207,000 pixel LCD non-articulated screen. This choice was based upon the analog controls - knobs, buttons and dials which meant I could adjust most settings without having to dig into the menu system. Not long after purchasing the camera, Konica Minolta went out of business and their assets were purchased by Sony. At the time this was Sony's top of the line camera. It still had Minolta DNA but many of the knobs and buttons were gone, the ergonomics were much improved and it had twice as many pixels and a 3" screen. The camera had a nice feel and the images were visibly better so I was happy with the upgrade. I had reservations about Sony's commitment to the DSLR market but reports I read at the time indicated that they were serious about elbowing their way into that market so I decided to stay with Sony. (in hindsight I don't think many understood just how serious they were about challenging the major brands). The A700 developed a fault that caused shading along the edge of images. At the time the departure date for a trip to the USA was near and I had to make a decision, send the camera for repair or upgrade. The upgrade idea had a certain attraction so I ordered a Sony A7 full frame that had just been released. As the departure date moved closer calls to the camera dealer resulted in reassurances that it 'should' arrive in time. It didn't arrive, so two days before departure I bought another Sony camera, the recent released A6000. I didn't cancel the order for the A7. This little camera was a revelation. With the kit lens it was easy to carry in the hand for prolonged periods. It was inconspicuous and I quickly learnt the controls, operating them by touch much of the time. The ability to review images in the EVF at 100% magnification is an excellent feature as is the fact that the EVF presents a constant live view that reflects the camera settings - got the wrong white balance or exposure? No problem, it shows in the view finder. For my big hands the controls are a little fiddle but I see that as a fair tradeoff for the convenience of the light weight. The A7 was collected after my return from the USA. It has the same megapixel count as the A6000 but other measures are better, in particular ISO performance and dynamic range. For this reason it became my goto camera but I found that processed images from the A7 and A6000 were indistinguishable. The theoretically higher performance of the A7 is insignificant in every day use. According to the pundits, Sony's A6k range are the best performingAPS-C cameras available at this time so I am happy to have both. In April 2018, I am considering my range of cameras and lenses. The lenses are the main problem, being a variety of Sony A, E and FE mounts, Minolta A mount and a Voigtlander FE. I have a Sony LAEA4 A-mount to E-mount lens adapter for the A-mount lenses. This was useful before Sony and others had created a broad range of E-mount lenses but now it and the older lenses can be replaced with quality lenses specifically made for the mirrorless E-mount system.